Category: Souk Collection. 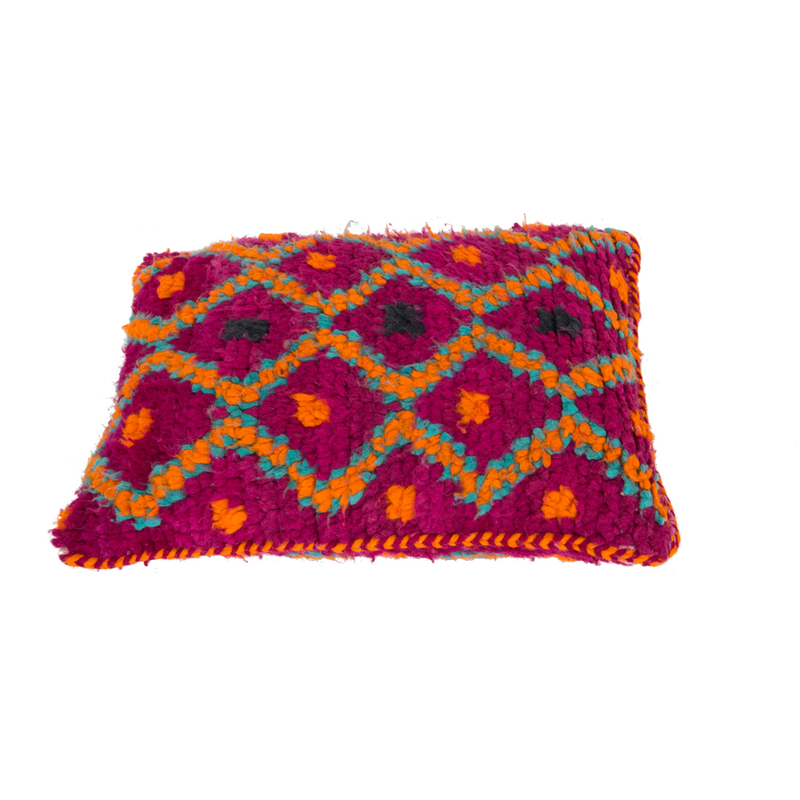 Tags: hand woven, kilim cushion, Moroccan, one of a kind, traditional craft, vintage. A striking vintage Moroccan cushion in an eye-catching palette of hot pink, orange, and turquoise and a pattern of zig zags and dots. Scroll over the image to see the design in more detail. This carpet cushion is double-sided. 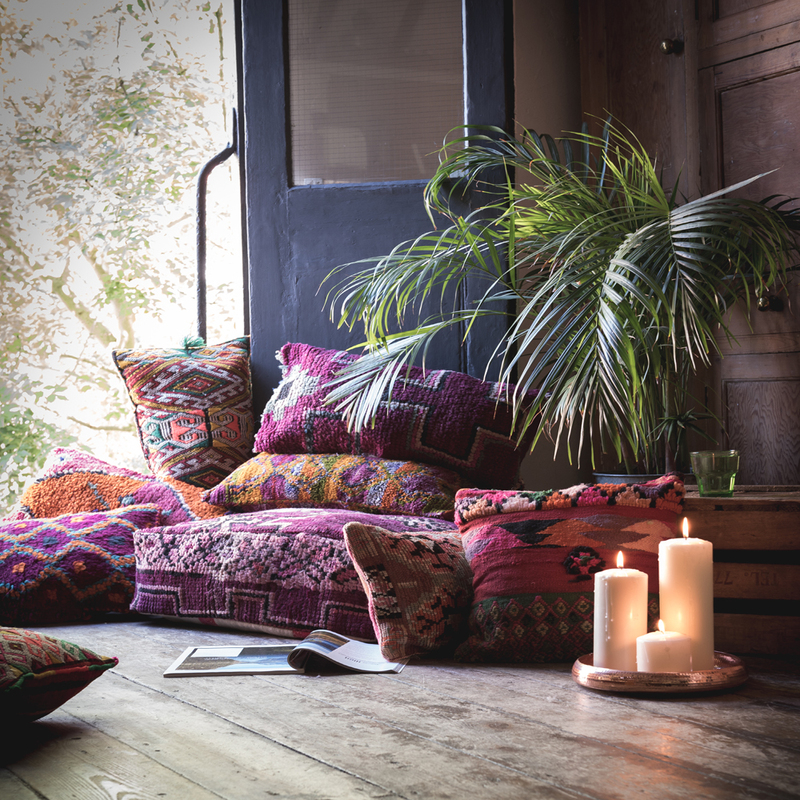 It will add a splash of colour, pattern and texture to a room and works well with other kilim cushions in our Souk collection like Adara and Sadira.